Caption: From left: Nick Farncomb, Peter Gould, Reuben Brand, Subhi Bora with their Small Business Award at the Australian Multicultural Marketing Awards. 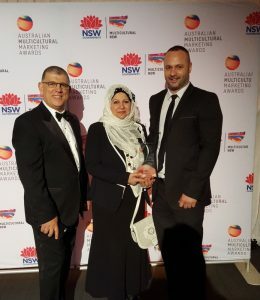 Minister for Multiulturalism Mr Ajaka with 2MFM President, Rafic Hussein & Program Manger Faten El Dana with their SBS People’s Choice Award. Gould Sydney was announced as winner of the Small Business category for its 2015 Project Highlights at the Australian Multicultural Marketing Awards, held on 12 October at the Sydney Opera House. 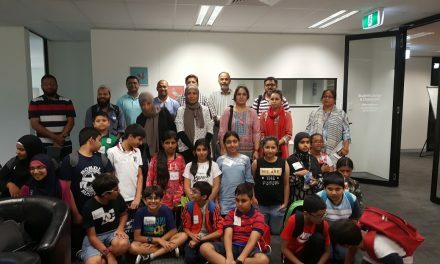 2MFM were the public pick from the 20 finalists in the SBS People’s Choice for its campaign ‘Together Standing Against Extremism and Racism’. 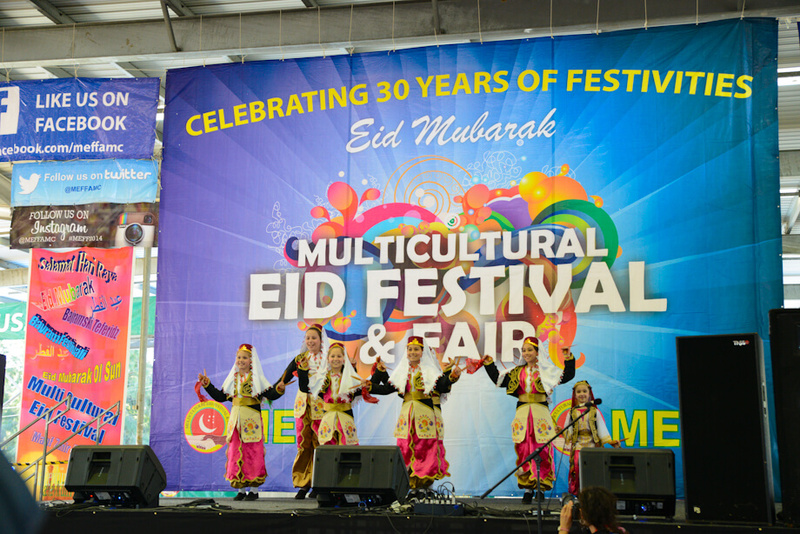 The Islamic High Council was given a commendation Community Category for their Multicultural Mawlid Concert.